I started reading Faith Speaking Understanding, which is the latest book by distinguished theologian Kevin VanHoozer. I’m not even finished with chapter two yet, but already he has captured my attention and challenged me with his thesis. Consequently what you’re left with is a message that stresses the need for Jesus at the new birth, and death, and that’s it! Supposedly Jesus has no relevance to your life until you die! With this kind of message preached, is it any wonder so many Christians are living such powerless, unfulfilled lives? 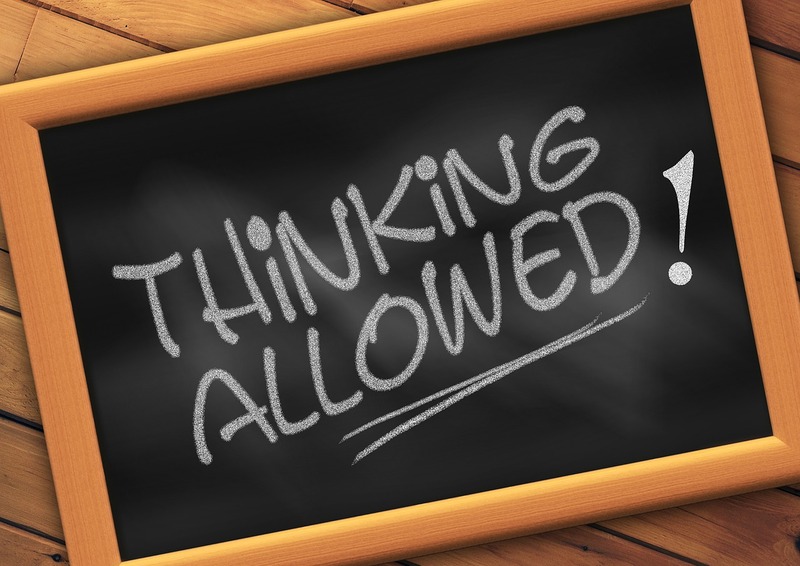 Christianity is not a collection of dos and don’ts but learning to think rightly. So much could be said about the Law and its importance and relationship to the Gospel, but for now, never forget that the Law cannot make anybody righteous before God, but it can point to the right course of action. It is wrong of us to stress to new believers the necessity of obedience to the Law without first stressing the need to obey our Savior daily! Emphasizing the latter will in turn bring about the former. Your mind will be either “conformed” to the world’s standards, or be “transformed” by being renewed by the Spirit as you study and meditate on the Word of God. This pivotal truth is from Romans 12:1-2, which is so rich with meaning and significance! For our present purposes, it is a good reminder that we are either squeezed and pressured from the outside culture to become like it, or we are changed from the inside – “constantly, daily renewing our mind” by the power of the Spirit. Either one or the other will happen; it’s up to us and the mind has a key role. To have the “mind of Christ” is a partnership with the Spirit that requires work on our part! 2 Peter 1:5-10: Verse 5 especially states we are to “make every effort to lavishly provide to your faith at your expense . . .” seven characteristics and traits, which are to be increasing and growing! Philippians 2:12-13: We must “work out and accomplish our faith” yet remember that also “God is working in you” This is both a beautiful promise, but also a responsibility that shouldn’t be shunned or neglected. Is there a better description of the “mind of Christ” and of understanding its importance? This goes right along with what we are studying in our precise class. John 15 is such an amazing chapter that we learn to be the branch we are called to be and allow ourselves to be filled with the sap from the main vine so we can produce fruit. But if we are in the right mindset (Christ’s Mind), we will want to be Jesus’ friend and we will want to follow his rules and live the life he commands (be filled with the sap) because we love him and have the desire to do anything for our true friend. Even die for him (so that other’s will see him in us and want him for their lives as well). Those are powerful words and I know I fall short of being such a friend. But, it makes perfect since and it really is such a simple concept. We humans just make it so much harder than it ever has to be. I needed to hear what you shared today and am very grateful for you! Next Next post: Prepare the Way!